In actuality, COPD is a collection of diseases that makes it more and more difficult to breathe. Emphysema and chronic bronchitis are the two main conditions of COPD, but most patients with the disease suffer from a combination of both. COPD is one of the most common lung diseases and one of the main causes of death in the United States. But there is good news. In many cases, COPD can be prevented. And for those who already have the disease, it can be treated. Emphysema is one of the two main conditions that are known as COPD. It happens when the air sacs in the lungs become destroyed over time. Eventually, these air sacs turn into large pockets with wide holes in their inner walls. As a result, the lungs have less surface area, which reduces the amount of oxygen that makes it into the bloodstream. Chronic bronchitis, the other main condition of COPD, happens when the bronchial tubes (tubes that carry air to the lungs) become inflamed. This inflammation makes it so that less air can travel in and out of the lungs. Patients with chronic bronchitis have a mucus-filled cough most of the time. According to the American Lung Association, COPD is the third leading cause of death in the United States. Approximately 12 million Americans have COPD, while another 12 million may be going undiagnosed. The World Health Organization (WHO) estimates that 210 million people across the world are suffering from COPD. In 2007, the United States government spent about $42.6 billion related to COPD. These costs were mainly due to hospitalizations. While there is no cure for COPD, it can be prevented easily by quitting smoking and avoiding second-hand smoke and other lung irritants. COPD does not just pop up out of nowhere. However, people usually do not experience symptoms until their lungs have been significantly damaged. The symptoms themselves vary from person to person, depending on which lung disease has the most impact. Most people start to feel symptoms as they get older. As such, many patients think their symptoms are merely a sign of old age. However, shortness of breath and trouble breathing during mild activities is not a natural part of aging. At the same time, some symptoms, such as coughing, are not unique to COPD. For this reason, you should talk to your doctor if you think you may have symptoms. He or she can run simple tests to find out if you have this common disease. Spirometry is the best and most commonly used test for diagnosing COPD. In a spirometry test, patients are asked to blow as hard as possible into a tube connected to a small machine that measures lung capacity, or how much air can fit in the lungs and how fast it can be blown from the lungs. Spirometry can spot COPD even before patients start to feel symptoms of the disease. The test can also be used to see how far the disease has progressed and whether treatment is working. Other ways to diagnose COPD include imaging tests such as x-rays and CT scans as well as lab tests. A chest X-ray can be use to show emphysema is some people. However, X-rays are mainly used to rule out other lung problems that may have similar symptoms to COPD. CT scans (computerized tomography scans) can also show if someone has emphysema. They are also used to see if patients could use surgery for their COPD. One lab test used to help diagnose COPD is called an arterial blood gas analysis. From this blood test, doctors can see how well a patient's lungs are bringing oxygen into the bloodstream and how well they are removing carbon dioxide. A doctor may also look at a patient's sputum (coughed-up mucus) to see what is causing that patient's lung problems. In most cases, COPD is caused by inhaling lung irritants such as cigarette smoke or other fumes, chemicals, and dusts. Genetics may also play a role in the development of COPD. COPD is yet another reason that people should quit smoking cigarettes, or any form of tobacco. In fact, smoking is the main cause of COPD around the world. And it is not just smokers who are suffering the consequences; people exposed to second-hand smoke are also at risk of COPD. COPD most often develops in people over the age of 40 who have a history of smoking. Even those who have quit smoking for years can be diagnosed with COPD. While most cases of COPD are caused by smoking, tobacco is not the only culprit of this deadly disease. Some people develop COPD because they are regularly exposed to dangerous pollutants, often in their workplace. These pollutants include certain dusts, fumes, and chemicals. COPD can even affect those who have never smoked nor had long-term contact with harmful pollutants. Genetics can also be involved. The most common known genetic risk factor for emphysema is called alpha-1 antitrypsin (AAT) deficiency. In cases of AAT deficiency, the patient has little to no AAT protein in the bloodstream, which leaves room for white blood cells to damage the lungs. Even though AAT deficiency seems to be the main cause of COPD among non-smokers, researchers believe that there are other genetic factors that can put people at risk for the disease. What are the treatment options for COPD patients? First and foremost, COPD can be prevented by avoiding smoking. 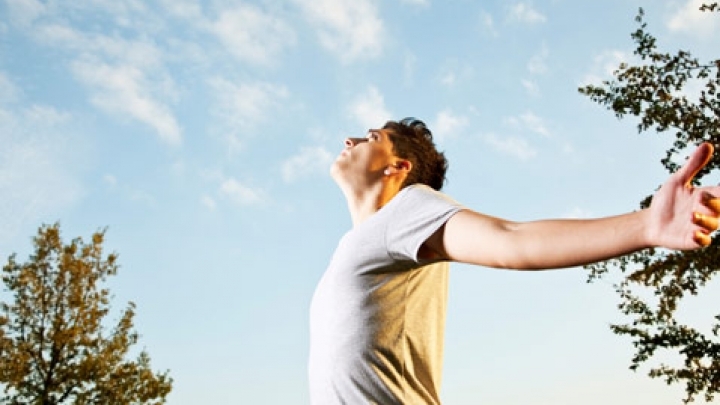 Breathing clean, fresh air is key to keeping healthy lungs. The bad news for those who already have COPD is that no cure exists. However, there are many ways to find relief and to keep the disease from progressing. Medications, therapies, and surgery are all options used to treat COPD. Inhalers are frequently used to treat COPD symptoms. Bronchodilators are one type of drug that comes in an inhaler. These medications relax the muscles around the airways, making breathing easier. These drugs include Atrovent (ipratropium), Spiriva (tiotropium), Serevent (salmeterol), and Foradil (formoterol). Steroids are also administered to COPD patients through inhalers. Steroids can bring down inflammation of the airway, which also makes it easier to breathe. Inhaled steroids are usually only given to patients who have moderate to severe COPD, as they can lead to weak bones and high blood pressure if used for long periods of time. In addition, some recent studies have shown that steroid treatment for COPD may be ineffective. If a COPD patient has a respiratory infection, their symptoms can get worse. In those cases, antibiotics can be used to fight infection. But these drugs are only used when they necessary. Many COPD patients cannot get enough oxygen into their bloodstream. These patients may need oxygen therapy, in which supplemental oxygen is delivered from a device into the lungs. Some devices are lighter and easier to carry around, making it possible to do oxygen therapy during activities. Some patients may go through a pulmonary rehabilitation program. In these programs, patients receive education, exercise training, nutrition counseling, and other guidance. Patients in these programs work with a variety of health care professionals, including physical therapists, respiratory therapists, exercise specialists, and dietitians. Through working with these specialists, patients can shape their rehabilitation program to fit their needs. Surgery is usually used in only the most severe cases of emphysema when medications do not good enough on their own. In one surgery - called lung volume reduction surgery - the surgeon takes out small pieces of damaged lung tissue. This leaves extra room in the chest cavity, which allows the surviving lung tissue to work more efficiently. There are many risks associated with this surgery, and their is no guarantee that the long-term results will be any better than those of non-surgical treatments. Lung transplant surgery is another option for emphysema patients. Patients who receive a lung transplant may be able to breathe better and be more active, but transplants do not appear to lengthen the life of recipients. It can also take a very long time before an organ donation becomes available. How can patients better cope with COPD? COPD can have a huge impact on patients' overall quality of life. They may have to give up enjoyable activities. Friends and family of patients may have to make changes to their own lives in order to help their loved ones. All of this adjustment can be extremely stressful. That is why some COPD patients join support groups where members can talk about their similar experiences and problems. With the help of doctors, therapists, dietitians, and other health care professionals, COPD patients and their families can work together to make living with lung disease as comfortable as possible.